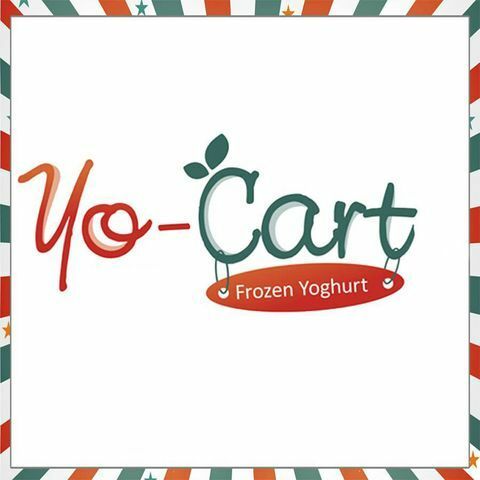 Yo-cart is a unique, fun and quirky product which is a funky addition to any event. 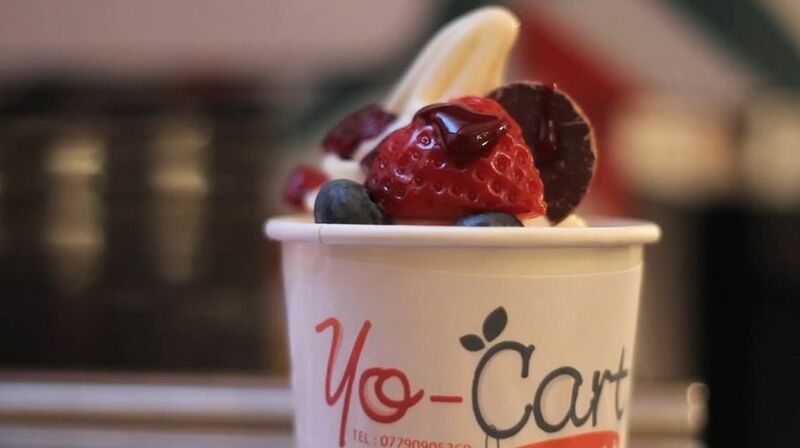 It gives you the chance to offer your guests the most fashionable delight of the moment...Frozen Yoghurt! With over a dozen flavours from Mango to Passion Fruit, we guarantee that your guests tastebuds will be sent into overdrive! 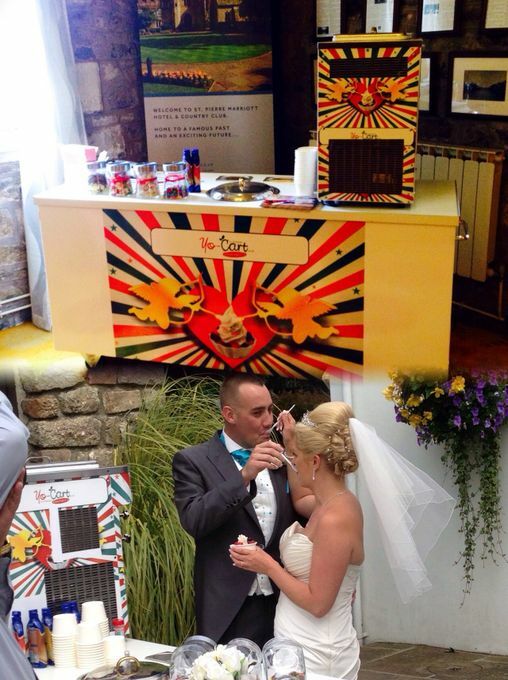 With its Vintage Styled Cart and colourful Whipper this transportable machine is guaranteed to turn heads and create that magical spectacle that you have always wanted on your special day. 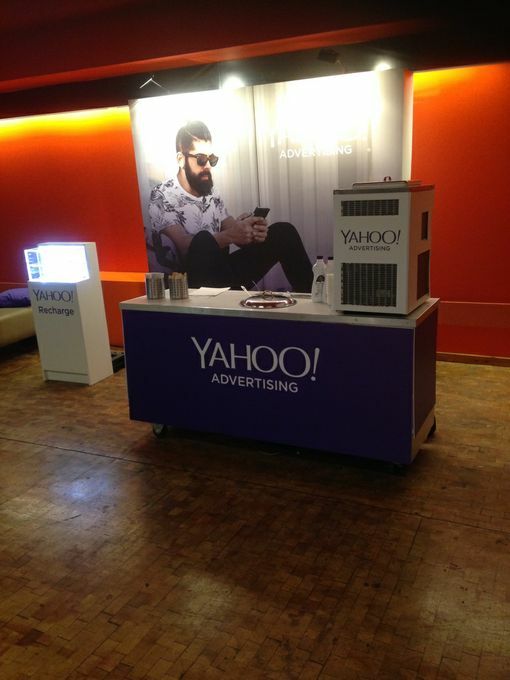 We cater for all events and pride ourselves in our professional approach, over the last 12 months we have worked with companies including The Savoy, The Four Seasons, Sony, Solvay, Yahoo, Amazon, Hakim Group, Jones The Bootmaker and Swansea University. 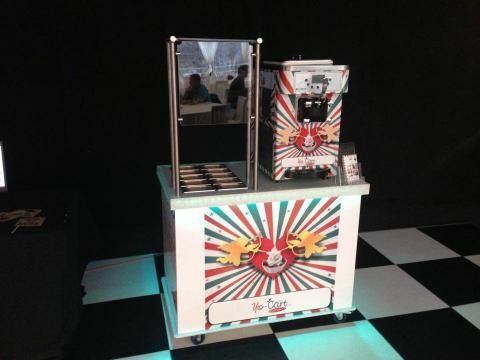 We have visited Venues throughout the UK including the NEC, Barbican and Excel London delivering the highest level of service and giving your client the Yo-Cart experience.